New York City Economic Development Corporation (NYCEDC), in partnership with NYC Parks, today released a Request for Proposals (RFP) seeking a consultant to design two new waterfront parks at Academy Street and North Cove along the Harlem River. The new parks will provide public waterfront access and recreation for the Inwood community (north of Harlem). 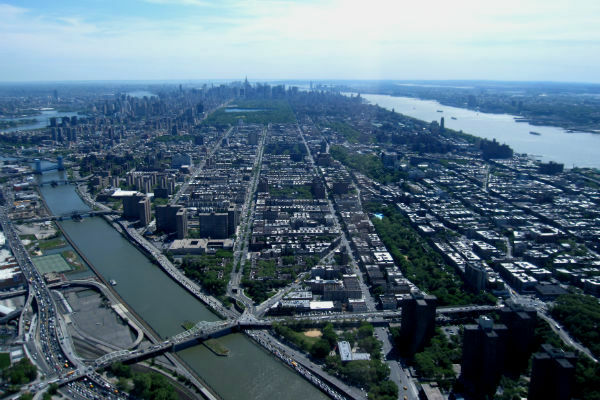 “Inwood, a neighborhood surrounded on three sides by spectacular waterways, has too long been cut off from enjoying these assets,” said Roland Lewis, President and CEO, Waterfront Alliance. “Working with councilman Ydanis Rodriguez, the Community Board and many other civic leaders, the City of New York’s plan for two new waterfront parks in this underserved neighbored will be a great boon for its citizens and the entire city. The de Blasio Administration has made historic investments to “close the loop,” committing more than $250 million to fill gaps in the Manhattan Greenway in neighborhoods like East Harlem and Inwood. These investments represent a major step toward completing the Manhattan Waterfront Greenway the 32-mile walking and biking path that rings Manhattan Island and connects over 1,000 acres of open space. The de Blasio Administration has made historic investments to “close the loop,” committing more than $250 million to fill gaps in the Manhattan Greenway in neighborhoods like East Harlem and Inwood. NYCEDC hosted an information session on February 19, 2019, and proposals are due on March 14, 2019. Questions regarding this RFP should be directed to inwooddesignrfp@edc.nyc. This entry was posted in Design, Harlem, Harlem River, Real Estate and tagged Harlem River, Inwood, New York City Economic Development Corporation, Ydanis Rodriguez by Harlem World Magazine. Bookmark the permalink.